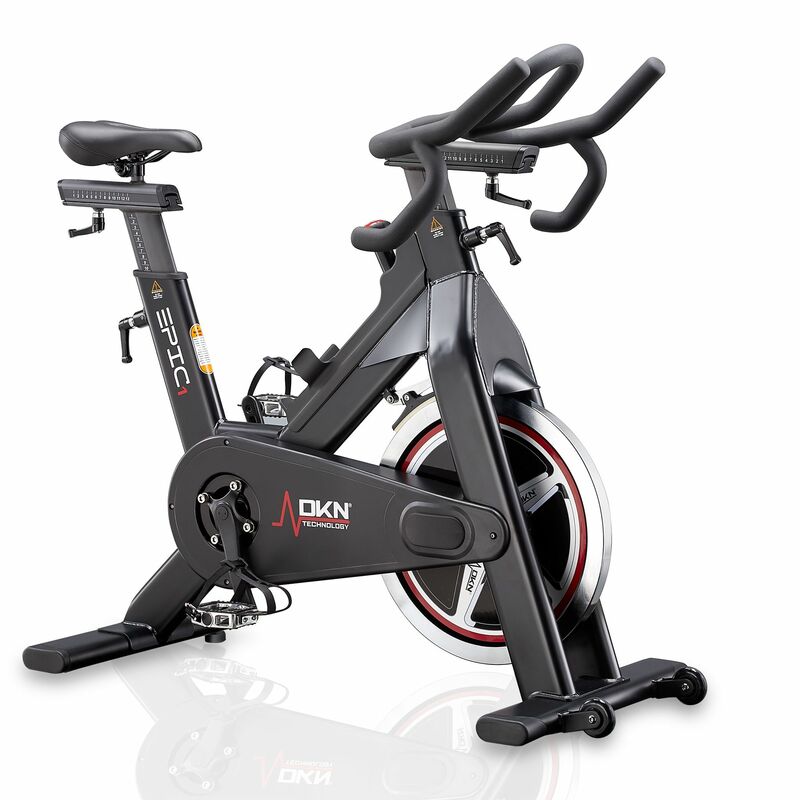 Unparalleled style, Club quality: a no nonsense Indoor Cycle for the real rider. The EPIC-1 is built for the discriminating cyclist with its flawless construction. The triangular frame is designed and engineered on the proven next generation platform design for added overall stability, and is equipped with 4 independent floor levelers for easy adjustment on uneven floor surfaces. An extra-smooth performance belt drive ensures smooth, maintenance-free performance, while the larger platform pedals offer you the support of a traditional toe clip. The patented one-touch tension and emergency stop twist-lever quick stop safety release braking system provides a dependable performance for unsupervised riders, while the hard-layered high density steel 23 kg flywheel is triple centered for ultimate smoothness. 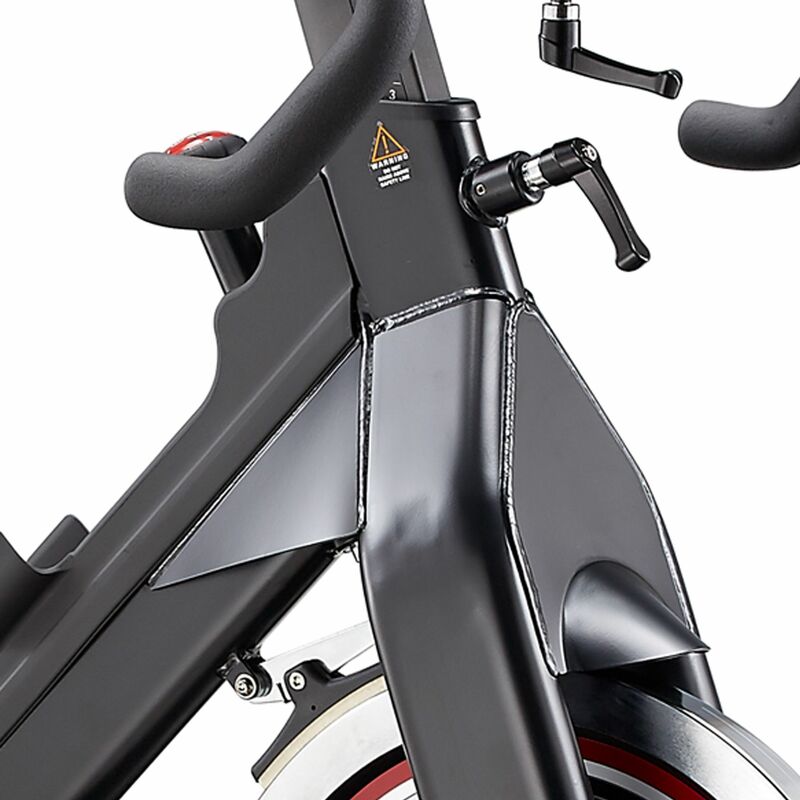 The EPIC-1 has an ergonomic saddle with flexible seat base, double density padding and anatomical cutout, providing unparalleled riding comfort – meaning you can spend more hours in the seat either burning calories or training for the next event. 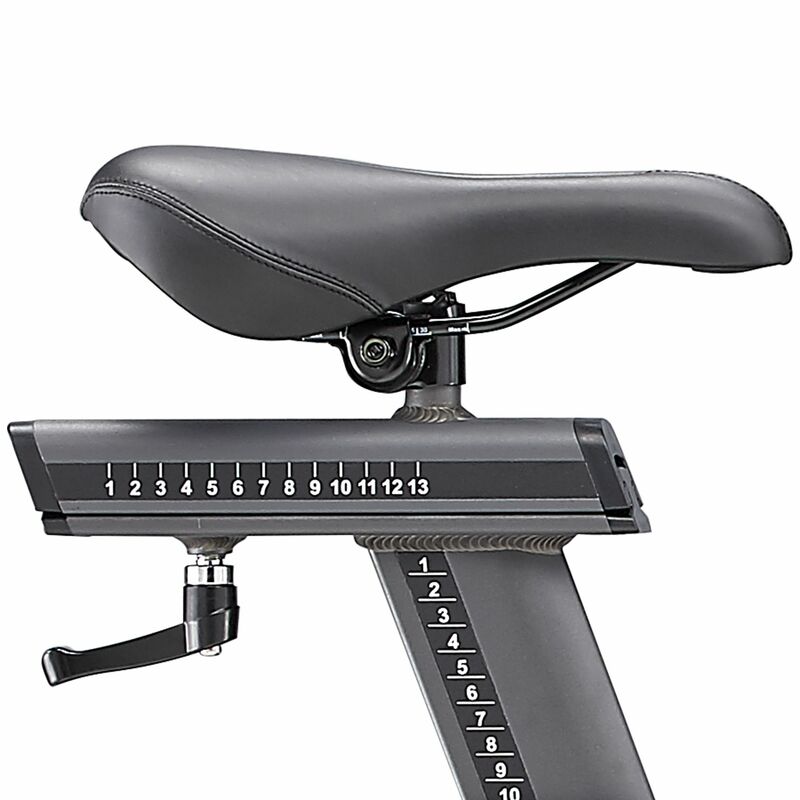 The seatposition is infinitely adjustable fore/aft and vertically for a perfect fit. A great feature is the incorporated guard that wards off sweat from flywheel. The EPIC-1 is built for a long lifetime with a design that protects the frame, resistance assembly and flywheel from sweat or debris. 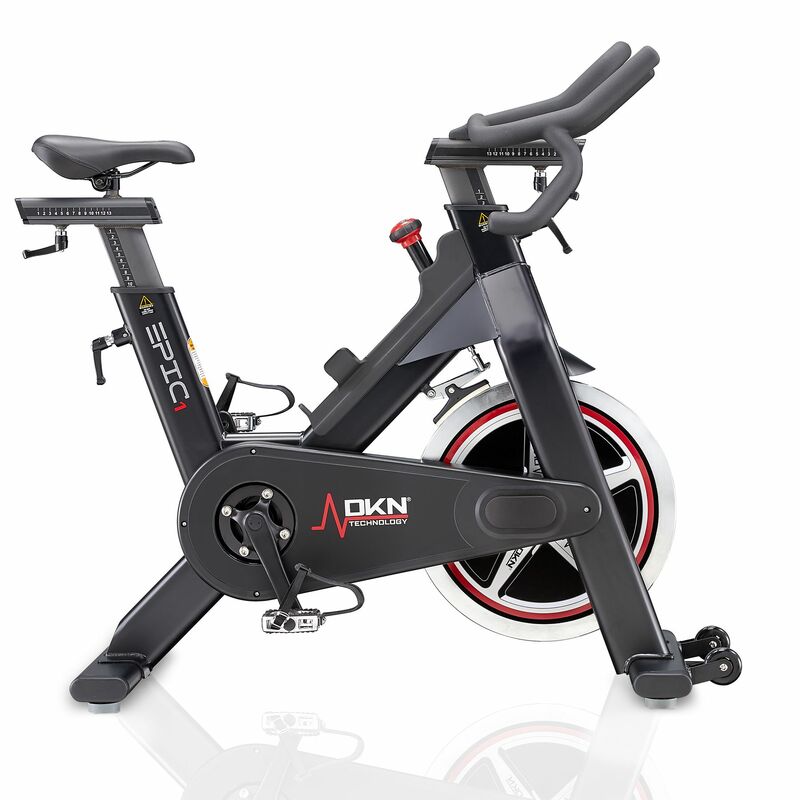 As a cyclist you pay a lot to get the right setup for your road bike and it stands to reason that being able to get the same setting on your Epic-1 will help you in ensuring your training carries from your indoor room to the road. Designed to withstand greater force loads then conventional bikes, the EPIC-1 features an exceptionally strong custom bottom bracket and custom cranks. Specially designed ‘V-lock’ system makes adjustments easy and more secure. 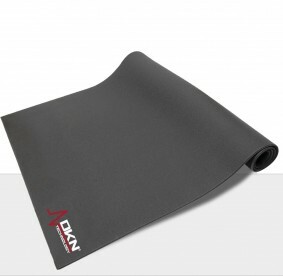 Suitable for home or light-commercial use.